But like all of the many, many attractive people before him, it's important to point out that there is much more to Lieberthal than what meets the eye. Sure, the man is good-looking, married to a talented, successful actor, and looks hot as all hell in a tux, but he's also got a few things going for him underneath that pleasing exterior, too. Like the fact that he might secretly be Elle Woods from Legally Blonde (and I'm not talking about the "bend-and-snap.") Trust me, you'll get it in a moment. Margulies is well aware that her husband is attractive, but what she loves so much about him is his intelligence. "The truth is, he is unbelievably bright and smart and went to Harvard Law," Margulies said during an appearance on Ellen . (There was that Elle Woods reference.) She also revealed that he went to Dartmouth for undergrad. Smart guy. More like LOL not really, but I feel his baby-faced pain. Once again speaking to Ellen DeGeneres, Margulies explained that they met at a dinner, where she subsequently told him how hot he was and how much he looked like a pre-teen. Julianna Margulies might be me after a few beers. "I said, 'Are you an actor?' Because as much as I love you all, I can't. I’m done,'" she recalled. "And he’s like, 'No, I’m a lawyer.' I’m like, 'Really? Where do you practice?' And he’s like, 'I was a Wall Street litigator for six years.' I was like 'Really? You’re 12.'" Fortunately, he wasn't (though he is six years younger than his wife) and the rest is history. "What’s your name?" she remembered asking the lawyer. "'And he said, 'Keith Lieberthal.' I was like, “You’re JEWISH?!' ... [It] kept getting better and better and that was it." 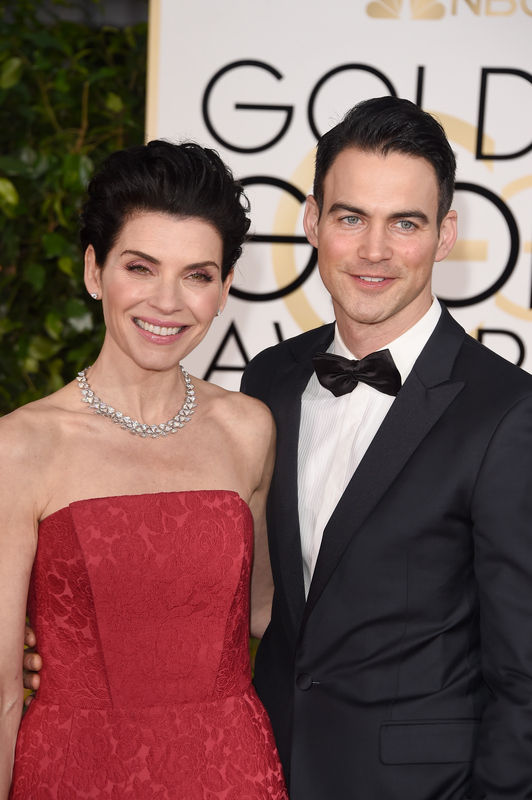 Just two months after their quiet 2007 wedding, Margulies gave birth to son Kiernan Lindsay. Who cares about the order of things when you clearly have a loving, committed family? And there you have it, folks. Keith Lieberthal: Hot lawyer. Supportive husband. Doting dad. Does life get much better than that? No, no it does not.